You can trust us because we are experts. Google says so. The internet industry is constantly evolving. New developments and innovations are coming out on a daily basis so, as a web development company, it’s vital to keep on top of things. A lot of our time is spent researching new trends, reviewing latest products and apps, and making constant tweaks to our own products in order to keep them up to date as well as improve our customers’ experience with us and help grow their business. We also spend a lot of time learning new things, be it new programming languages or getting qualifications to demonstrate we do actually know what we are talking about. As someone who left school with nothing more than a handful of GCSE’s (fortunately relevant subjects like Maths, English and Business Studies) I personally felt the need to go back to studying part time a few years later and do a BTEC HNC in Business IT. In truth it meant nothing other than I got a piece of paper saying I could demonstrate skills that would be useful if running a business in IT, which of course I ended up doing. Our business development manager is currently in the process of getting a BSc (Honours) in Computing and IT. Again, this is something he is doing in his own time in order to get a piece of paper demonstrating he knows a bit about business and knows how to turn a computer on. Plus he’ll have letters after his name. More recently, however, we both spent a few hours completing the Google Digital Garage. It involved answering over a hundred questions and taking an online exam. 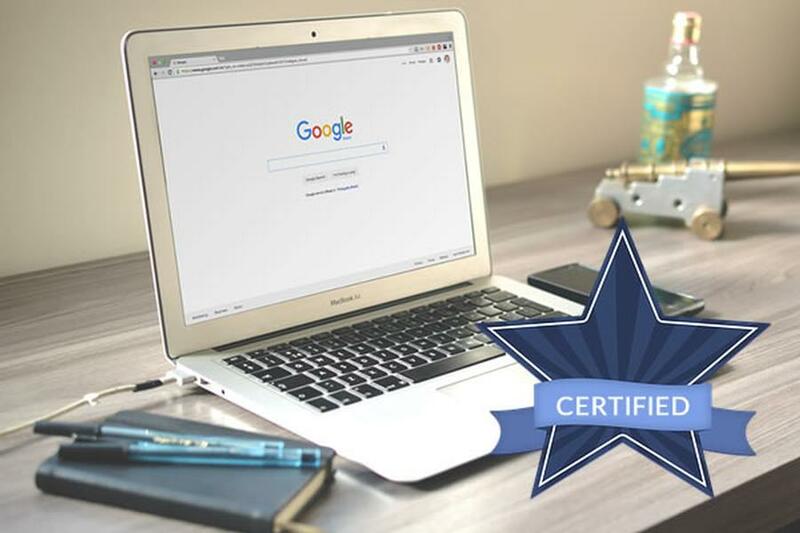 The questions ranged from SEO, content marketing, social marketing, ecommerce and of course demonstrating knowledge in Google’s products (search, AdWords, Analytics). We both passed with flying colours. To be honest, we both found it a bit silly. At the end of it all, we both got an e-certificate stating we were experts in the field. I could have come up with something more professional looking in two minutes using Photoshop (something else I’m an expert in). Still, it once again demonstrated that we do know what we are talking about. So if you need expert advice in digital marketing, content or pretty much anything else to do with your website, you only have to contact us and we’ll be happy to help.